So the first day of the Microsoft Big Picture Experience here in Sydney and an opportunity for me to be on the other side of ledger for a change. This means that I donned the Microsoft shirt, badge and was tasked with helping to explain technologies such as SharePoint, Lync, Office 365, Windows InTune, etc to those in attendance. The day started early and I was kinda of expecting to be bowled over in the rush when the doors opened at 8am, that was to come later. There was steady traffic up till about 9am when the keynote started. I took a wander to see how many attendees were in attendance and was surprised at the number so early. Once the keynote was over then things started to really hot up as people came through each location seeking information. I have to say that all this Microsoft technology is pretty impressive when you see it all tied together and working. Making Lync video calls, connecting to complex SharePoint sites, received voice mail in Outlook, etc. Sure, at the moment all of this is not available in Office 365 yet, but that is the key thing to remember – YET! When you see it all working together in a single integrated environment you begin to appreciate the power that Microsoft can bring to desktops with their suite of products. Imagine what it will be like when all of this is available through Office 365 down a business as small as one person? Very, very powerful. I also have to congratulate Microsoft on trying a different format where employees (and moi) are out there giving people hands on, one to one, demonstrations of the products and answering questions. Very different from simply having people sit and look at demos on stage. Now sure, there maybe times when certain locations get busy and individuals may not get the attention they want but hey there are plenty of other things to see. So, circle around and come back in a little while. All in all I think the themed ‘zones’ at the front and ‘lecture halls’ at the back worked well. I didn’t get a chance to attend the lecture session but they were well attended from what I saw. I was very pleased to ‘run into’ a number of other resellers taking in the technology. I find it interesting how many simply see this even as something to come and look at only. To me, this is a fantastic opportunity to come and meet local Microsoft people face to face, press the flesh and make a connection. Not only that, the hall is also filled with other resellers with whom you can network. Too many simply never ‘make the time’ to attend, seeing it as low priority to their business. I’d be saying the exact opposite, make time, attend the sessions, talk to people, hand out business cards and generally make good opportunity of this rare occurrence. All in all a very successful day for those that attended and I hope I was able to help people who I spoke with. I thank those people who made time and came up for a chat. The scary thing now is that TWICE as many people are registered for the customer day tomorrow. It is going to be busy. I’m going to be busy for the remainder of the week and thought I’d let people know where I would be in case they wanted to catch up. Tomorrow (Wednesday 29th) and Thursday (Thursday 30th) I’ll be at the Microsoft Big Picture Experience event at Darling Harbour helping Microsoft explain their technologies, including Office 365 and Windows InTune to partners and customers. I’ll be very interested to see how this event pans out as it seems like a bit of change from Microsoft normally does. Identity in Office 365 is an interesting and often confused topic. Everyone wants to know their options, including how to manage Office 365 customer and partner accounts, domain controller configuration, active directory synchronization, as well as creating a federation trust between a on-premise and Office 365. This session will compare the pros and cons of the approaches as well as guidance on how to set up the requirements. Additionally, the session will cover general information about available Office 365 options and plans. So if you are in the neighbourhood during either of these event please let me know and we’ll catch up. Otherwise follow along on my Twitter feed (@directorcia) to see what happens. The power of Microsoft SharePoint as the Enterprise collaboration platform is ever-growing; due to the wide range of capabilities it offers, SharePoint 2010 can help transform your business so you can quickly respond to the changes and challenges that you face. For End Users, SharePoint helps you and your team work “better, faster, and smarter”. This book will take your SharePoint knowledge further, showing you how to use your skills to solve real business problems. As the description says, it is designed to take you beyond just the basics and help you improve your skills with SharePoint Server 2010. If you are interested in posting a review of the book to the web in return for a free e-copy of the book please contact me (director@ciaops.com). I wrote a post a few weeks ago highlighting the fact that Office Web Apps (the ability to view and edit Office documents in a browser) on Office 365 still wasn’t working with the upgrade to iOS 5.0. I was interested to find out yesterday that it is now in fact working. So what changed? Well, I have upgraded to iOS 5.01 but don’t think that was what resolved the issue. The reason is that at the same I last tested Office Web Apps on iOS 5.0 I also tested it on Android 3.2.1 and got similar problems. Now however, it seems to work on both platforms. This to me indicates that the backend has been changed. Thus, it seems we’ve had an update on Office 365 which is great news. Things are certainly much better but they are far from prefect. In my testing on both iOS and Android I have found Office Web Apps on Office 365 to be very fragile. I still get plenty of browser crashes, document lock up and text ending up in unexpected places. This is totally understandable considering the complexity of Office Web Apps but it indicates that there is some work to be done to ensure stability on mobile platforms. Importantly I can now report to users that Office Web Apps on Office 365 does work in edit mode, which it never used to, but in my testing so far it is still a little fragile. The next in a series of blog posts on the differences between the plan offerings in Office 365. All subscriptions include organization-wide capabilities such as journaling, transport rules, and premier anti-spam and antivirus filtering via Forefront Online Protection for Exchange. User subscriptions are not required for conference rooms and shared mailboxes. These special mailbox types do not have login credentials—instead, licensed users with the appropriate permissions manage them via delegation. These limits are applied to every e-mail message. Message size limit The maximum total size of an e-mail message. The total size includes the message header, the message body, and any file attachments. Note An e-mail client may limit the size of an individual file attachment to a value much less than the message size limit. For example, in Outlook Web App, the maximum individual file attachment size is 10 MB. File attachments limit The maximum number of file attachments allowed in an e-mail message. Even if the total size of all the file attachments doesn’t violate the message size limit, there is still a limit on how many attachments are allowed in the message. Subject length limit The maximum number of text characters allowed in the subject line of an e-mail message. Multipart message limit The maximum number of message body parts that are allowed in a MIME multipart message. Embedded message depth limit The maximum number of forwarded e-mail messages that are allowed in an e-mail message. Recipient limit The maximum number of message recipients allowed in the To:, Cc:, and Bcc: fields. Message rate limit The maximum number of e-mail messages that can be sent from a single e-mail client per minute. The client is identified by the user account. Recipient rate limit The maximum number of recipients that can receive e-mail messages sent from a single cloud-based mailbox in a 24 hour period. After the limit has been reached, messages can’t be sent from the mailbox until the number of messages sent in the past 24 hours drops below the limit. The recipient rate limit applies to messages sent to recipients inside and outside your organization. For more information, see Bulk E-Mail and Daily Recipient Rate Limits. 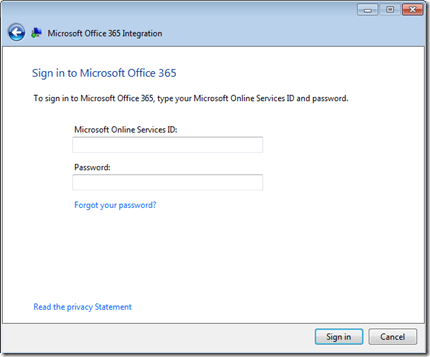 Microsoft recently announced the open beta of the Office 365 Integration Module for SBS 2011 essentials. 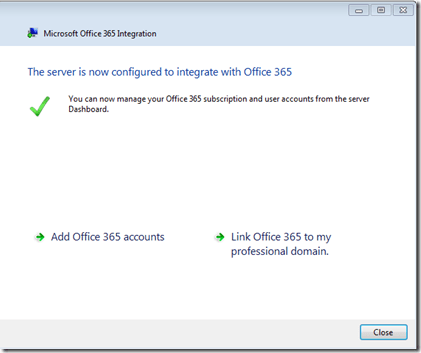 In a nutshell this allows you to easily provision and manage your Office 365 accounts from your SBS 2011 Essentials server. It does not provide the ability to do Single Sign On (SSO). It will however provide the ability to sync local account passwords with those in Office 365 PROVIDED the account names are identical. 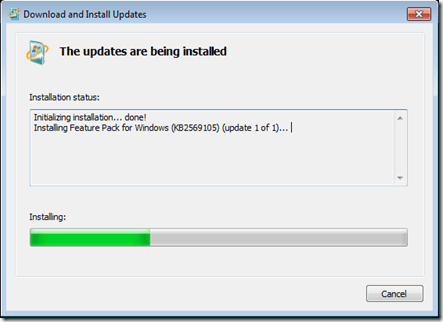 In this post I’ll run through the installation of the integration module on SBS 2011 Essentials. 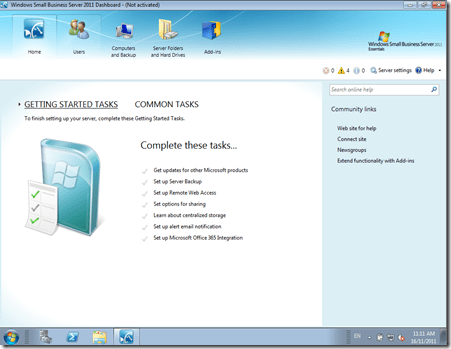 Once you have downloaded the software to your SBS 2011 Essentials server double click on the file to launch. Select Yes to install the feature pack. Click on I Accept to accept the license agreement. Remember this is still beta (pre-release) software. 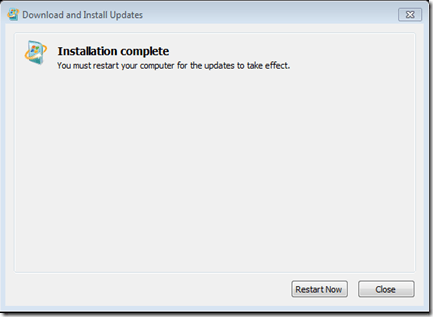 Allow the update to install on your server. When complete you will need to reboot your server. When the server has rebooted launch the SBS 2011 Server dashboard. On the front page at the bottom you will see a link Set up Microsoft Office 365 Integration. Click this to continue. This will run the integration wizard. 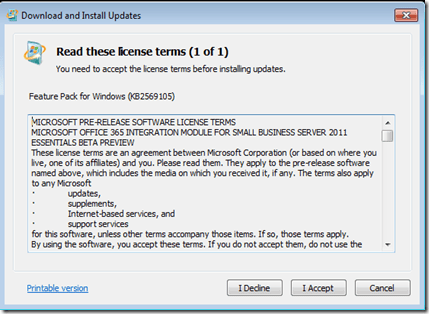 By default, the wizard will assume that you have not already obtained an Office 365 license. If you do already have an Office 365 license simply click the option I have a subscription for Office 365 at the bottom of the screen before proceeding. 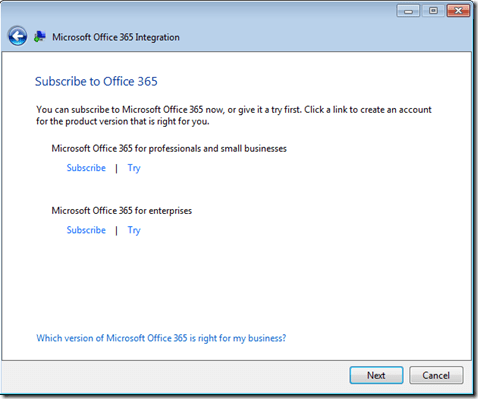 If you proceed without selecting the option indicating you have an Office 365 subscription you will be taken to the page that allows you to select which subscription you may wish to purchase or trial. Thus, the best advice would seem to be make sure you have already obtained your Office 365 subscription prior to running this module and check the option in the previous step. 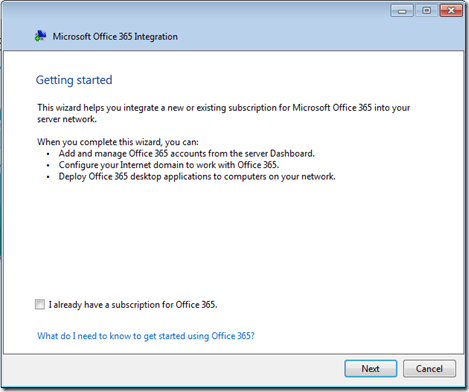 If you proceed after checking the option that you already have an Office 365 subscription you will see the above window prompting you for an administrator login for your Office 365 account. Enter the appropriate details and press the Sign in button to continue. The details will checked and the system configured appropriately. When successfully complete you should see a screen like shown above. Press the Close button to complete the wizard. 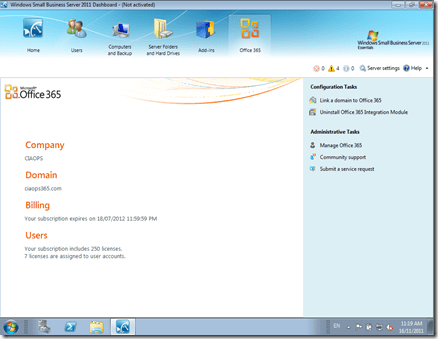 When you now view the SBS 2011 Essentials console you should see an additional Office 365 button at the top right of the dashboard. Clicking this should display a screen like shown above with information about your Office 365 subscription. 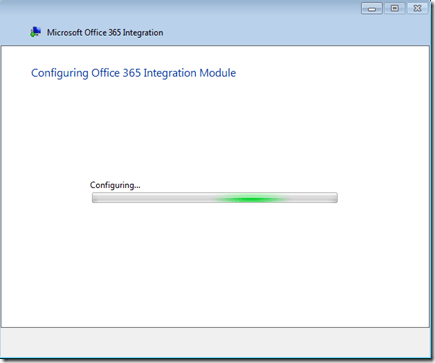 I’ll more details on how to use the Office 365 Integration Module with SBS 2011 Essentials in upcoming posts. However, remember that it is still beta software and the final product may differ from what is shown here. Importantly, remember that Exchange Online in Office 365 doesn’t support Outlook 2003. That means that anyone using BPOS with Outlook 2003 will need to migrate before hand. That’s why those checklists are good as they give you things you need to be aware of prior to any migration.